Dinosaurs Tv Series on Dvd ??? 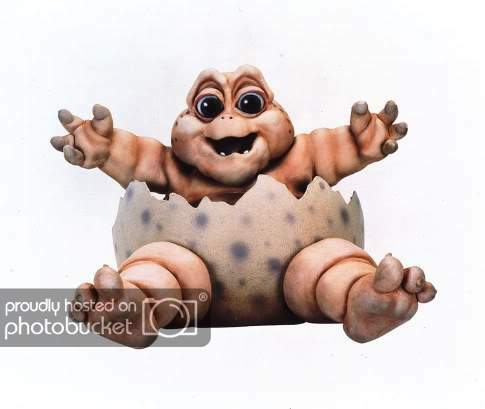 You remember the Dinosaurs program on a sat that had the baby "gotta love me" in it? Did they ever release it on dvd ? got these but there copies, still funny to this day! nice to see you ODB, have you been taking it easy on here or what? How is the ace youngster doing? On May 2, 2006 Walt Disney Studios Home Entertainment released Dinosaurs: The Complete First And Second Seasons as a four-disc DVD box set. The DVD set includes "exclusive bonus features including a never-before-seen look at the making of Dinosaurs" The complete third and fourth seasons were released May 1, 2007 with special features, including the episodes not aired on TV. Both sets are currently available only on Region 1. A Region 2 release of the four seasons has yet to be released. "your mates little un", right..........lolnice to see you ODB, have you … "your mates little un", right..........lolnice to see you ODB, have you been taking it easy on here or what? How is the ace youngster doing? Used to like this programme - they just dont make em like they used to! We're gonna need another Timmy.It's an eleven Gig download if you can be … We're gonna need another Timmy.It's an eleven Gig download if you can be bothered.